When India negotiated with the Atomic Energy Canada Limited (AECL) on nuclear research in the 50s, an option considered was to design and develop a heavy water moderated organic cooled reactor (HWOCR), Mr Suresh L. Kati, former Managing Director, Nuclear Power Corporation of India Limited and former Member, Atomic Energy Commission, writes in the June issue of the Nuclear Engineering International. Israeli archaeologists unveiled on Wednesday a 2,100-year-old Jerusalem perimeter wall -- along with beer bottles left behind by 19th century researchers who first discovered the stone defences. If we connect a glowing bulb to a photovoltaic cell by a wire such that the face of the screen of the cell that receives light always faces cell and then cut the other source of energy to cell, will the bulb keep glowing for entire life . If yes then why can’t street light be used on this procedure? It can save a lot of energy. The world nuclear engineering community did not realise the merits of HWCORs, though Canada operated such a research reactor of 60 MW (thermal) from 1965 to 1985. Indian engineers carried out some work in this field. Mr Kati argues that HWCORs can challenge all types of reactors, including Pressurized Water Reactors. “….HWCOR of Indian origin is the best choice for India”, he unhesitatingly recommends. He led the team of reactor engineers who designed Units 3 & 4 of the Tarapur Atomic Power Station; these latest pressurized heavy water reactors (PHWRs) of 540 MWe capacity are shining symbols of self reliance. “HWOCR will have a high overall thermal efficiency of 39 to 40 per cent as opposed to 29 per cent of the existing PHWRs. Consequently, a 220 MWe PHWR, when converted to function as an HWOCR can produce 270 to 280 MWe. Similarly the capacity of a 540 MWe PHWR, when converted to function as an HWOCR, would be 725 to 750 MWe”, he clarified. This reduces the unit energy cost. HWCOR has other unbelievable advantages. In a nuclear power reactor, uranium nuclei undergo fissions to release enormous amount of energy heating up the reactor core. In a PHWR, heavy water which is the coolant removes this heat, transfers it to ordinary water, which turns into steam to drive a turbine to produce electric power. For efficient heat transfer, heavy water has to be circulated in the primary heat transport (PHT) system, continuously under very high pressure. Because of certain physical properties of organic coolants, in organic cooled reactors the PHT System need not be a high-pressure system. If the coolant flow stops, the core will melt, the sheath covering uranium fuel will break releasing radioactivity. Loss of Coolant Accident (LOCA) is a serious accident. During a LOCA, the internal pressure of the reactor building will rise breeching the containment. In HWCOR, as LOCA would not cause any pressure build-up, we do not need a pre-stressed cement concrete containment. The inner concrete containment is not required to withstand internal pressure; it may be made of ordinary reinforced concrete. Heavy water in the PHT system contains tritium, a radioactive element. Leakage from PHT system may release large amounts of tritium. Organic cooled reactor does not contain tritium. Its PHT system is less prone to leak as the pressure is very low. When Therminol-66, a commercially available organic coolant is used, the radiation field will be low even when the reactor operates. Organic coolants are very cheap compared to heavy water. Mr Kati argues that by using organic coolant and changing the design appropriately, the designer can cut costs. He shows that the reactor designers can eliminate eight reactor systems including thick walled containments, leading to enormous savings. They have to carry out some research and development to resolve substantial issues. Organics polymerize at high temperature; they decompose and deposit on fuel elements; they transfer heat less efficiently. They have to arrive at the material to construct the reactor coolant tubes and the fuel-clad tubes for compatibility with the coolant. “Instead of going in for the normal pressurized heavy water reactors or imported reactors to meet energy needs of India, the heavy water moderated organic cooled reactors of Indian design are the best choice for India” Mr Kati asserted. Initial cost of HWOCR is likely to be lower than PHWRs. Is it worth revisiting the long-forgotten organic cooled reactors? The wall, on Mount Zion at the southern edge of Jerusalem's Old City, dates back to the Second Jewish Temple, which was destroyed by the Romans in AD 70. Yehiel Zelinger, who headed the excavation for the Israel Antiquities Authority, said the location of the wall indicated that Jerusalem had expanded to the south at the time, reaching its largest size in biblical times. The 3.2-metre (10.5-foot)-high wall was not supported by any mortar or other bonding material and formed part of a 6 km (3.5-mile)-long fortification around the city, he said. The present wall around Jerusalem's Old City is 4 km (2.5 miles) in circumference. 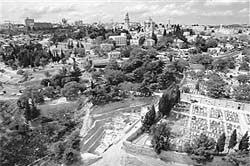 The ancient wall on Mount Zion had disappeared from view by the time a similar stone barrier, also uncovered in the dig, was built at the site during the Byzantine period more than 250 years later. Nonetheless, the second wall followed almost exactly the same path. "During these two periods, Jerusalem was the centre ... to the Jews during the Second Temple Period and to pilgrims from the Christian world (during the Byzantine Period)," Zelinger said. Scientists who spent years learning how to make replicas of the stone instruments used by Neanderthals and Homo sapiens have found the Neanderthal tools were just as efficient as anything made by Stone Age man. And researchers believe that the demise of the Neanderthals — which has often been explained by the supposed inferiority of their technology — could not have come about solely as a result of their stone tools being worse than those of their rivals. “Our research disputes a major pillar holding up the long-held assumption that Homo sapiens were more advanced than Neanderthals. It is time for archaeologists to start searching for other reasons why Neanderthals became extinct,” said Metin Eren, a graduate student at Exeter University. “Technologically speaking, there is no clear advantage of one tool over the other. 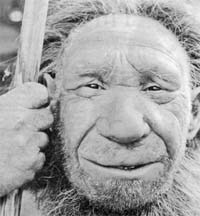 When we think of Neanderthals, we need to stop thinking in terms of “stupid” or “less advanced” but more in terms of ‘different’.” Neanderthal man lived in Europe for about 300,000 years, surviving a number of ice ages before disappearing completely about 25,000 years ago, about 10,000 years after the arrival of modern humans in Europe. Why the Neanderthals disappeared has been an enduring mystery but studies on DNA extracted from ancient bones suggest they died out without interbreeding with the new arrivals to Europe. It is likely that the two species of humans competed against each other for limited resources in the same habitat, with Homo sapiens being the victor. However, the study on the stone tools used by both species suggests that the competition was not as one-sided as some anthropologists had believed. The Neanderthal flint tools were broader and thicker than the somewhat smaller and finer-bladed tools of Homo sapiens but they have turned out to be no less efficient, Mr Eren said. I think what you are suggesting cannot work. It is like making a perpetual motion machine. You can of course use the street light for powering your calculator. You could also use diffuse light during a bright day on your photocell to light a lamp. But you cannot go on lighting one lamp after another using photocells in front of each successive lamp. Initial energy is degraded and lost in various ways. Can the coefficient of friction be greater than one? You know that coefficient is defined as the ratio of frictional force to the force normal to the surface in question. Most of the time the ratio is less than one. But it is possible that for some special surfaces the force required to move an object is greater than the normal force of the object. This means that the coefficient of friction in these cases is greater than one. Is it true that unexplained happenings occur in the Bermuda Triangle? The stories and fiction of the Bermuda Triangle have been carefully analysed. There is no evidence that the rate of marine accidents in that area is higher than would be expected for any hurricane-prone area. It has been shown and demonstrated that the whole thing is a media invention. People like mysteries and elaboration of this mystery has sold a lot of books and magazines, and has spawned many films. Is it possible to magnetise an iron ball? If yes then where would be its north and south poles? The magnets you are familiar with are produced by aligning the microscopic magnetic domains of a magnetic material. We assign magnetic moments even to individual charged particles whenever they have a spin angular momentum. Nuclei of atoms also have spins. Think of them as tiny magnets that, in a non-magnetised state of the bulk material, are randomly oriented. Magnetisation is a process of alignment. Therefore for a magnet in a spherical shape the poles would be positioned depending on the way the sphere was magnetised. It might happen, though, that in an irregular shaped material, internal interaction between domains might produce a localised unpredictability in the magnetic field.